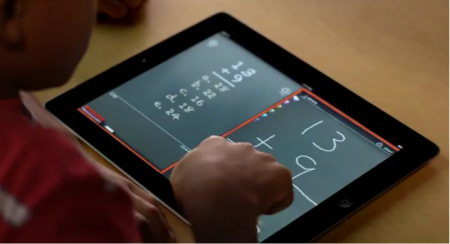 Apple has released a new commercial for the iPad 2 titled “Learn”. The ad shows the iPad as a learning tool. can anybody tell me what apps on the above picture (kid drawing on blackboard)?